12/08/2015 - Saumur Museum, France. 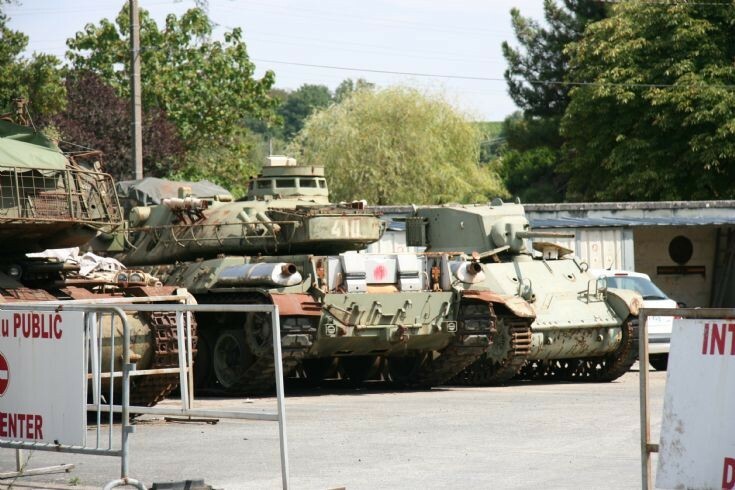 Would appreciate any help with the ID of the 410 tank in the centre of the three. Many thanks. Added by FC on 01 February 2016. Thanks FC. Not up on French tanks, that was my impression but wanted confirmation. Added by Tony Walsh on 06 February 2016.